The site of the London Hotel is also known as 92 Beach Street for planning purposes. The applicant has appealed the Council’s September decision to VCAT with a hearing date to be advised. The Council approved a permit for an eight storey building on the site of the former London Hotel. It will include a hotel/pub and 18 dwellings. The permit includes conditions that there be no overshadowing of the foreshore beyond 10 am on the winter solstice (the most stringent overshadowing test available in the planning scheme) and that a heritage record be prepared to Council’s satisfaction. On Tuesday 7 March, demolition of the London Hotel began. By week’s end, only the outer walls remained standing, creating the tantalising impression that the hotel had been saved after all. The owner of the site has a permit to demolish the building which can be exercised to June 25th next year. ‘No permit is granted’. So ruled VCAT in its determination of 5 September 2016 on the London Hotel. Since the hotel does not have heritage protection at this time, the Tribunal was not able to consider heritage issues. However, they canvassed the full range of issues raised by objectors in detail and weighed them up according to state and local planning policies. The issue that led to the Tribunal’s decision to refuse the permit was the extent of overshadowing of the foreshore. 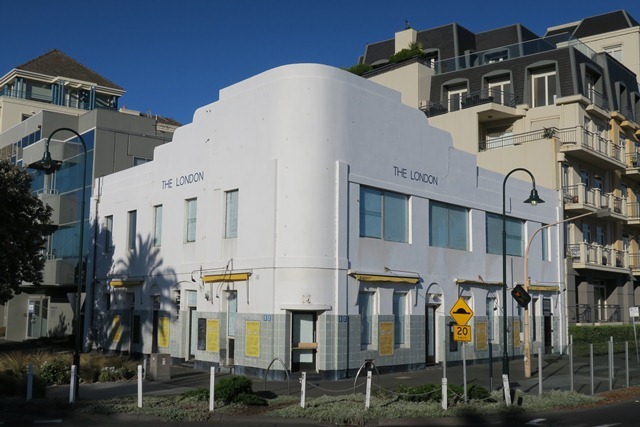 At the Council meeting on 9th August, the Port Phillip Council resolved to write to Planning Minister Richard Wynne to request interim heritage controls for the London Hotel at 92 Beach Street on the basis of the Cultural Heritage Values Assessment report prepared by Context. Context’s report contains a very interesting history of the changes to the Hotel and its context over time, as well as the methodology used for assessing the significance of the Hotel. View the Council report and Context’s assessment. At the Port Phillip Council meeting this evening, members of the community made passionate representations to the Council to protect the London Hotel from demolition. Urgently requests the Minister for Planning to prepare and approve an amendment to the Port Phillip Planning Scheme, to apply an interim Heritage Overlay to the London Hotel site known as 92 Beach Street, Port Melbourne. 2. Immediately commission a detailed heritage assessment of the London Hotel site including: – A focus on the historic (Criterion A) and social values (Criterion G) of the place and how these historic and social values are embodied in the fabric of the building. – Advice on how significant elements of the building fabric should be retained and reused in any future proposal for the site. Most regrettably, the site is not covered by a heritage overlay, nor does the building have its own citation of significance. Therefore, no planning permit is required to demolish the building. We will not allow Port Melbourne to be turned into Docklands Mk. II. Hi Cameron,Keep in touch with what action you propose to take. Is the Port Melbourne Preservation Society making an objection to the application to redevelop the London Hotel? Having such a strong personal connection with the London would make the idea of its demolition even harder to bear. Feeling in the area against the demolition is strong. Making your feelings known to the City of Port Phillip would help. The latest on this matter is that the developer TAB Developments has now lodged an application with VCAT due to a failure by Council to grant a permit within the prescribed time under section 79 of the Planning & Environment Act 1987. (VCAT Ref : P830/2016) Objectors should receive correspondence from the applicant no later than 24th May 2016. I’ve just emailed every Port Phillip Councillor as well as Martin Foley MP stating my objections to the demolition of the London Hotel. I’ll be encouraging others to do the same. I am so saddened by this. I haven’t been to The London for years, but live within the City of Port Phillip and am tired of the council ruining what’s left of the area. I will email Martin Foley too but is there anything else we can do? Maybe a petition or something at least? My great grand father was publican there from 1873-1900. Hope it can be saved. Hi Sheree, Missed your comment earlier, sorry. Who was your great grand father? It would be great to learn more about him. I have been a Port Melbourne resident for 20 years I vehemently oppose the demolition of the London Hotel – this is a Port Melbourne landmark and gives character to what would otherwise be a bland landscape. How can a bank house have an overlay and not this building? The London Hotel was built circa 1861 for Thomas Monahan who was also the owner of Ripponlea and Quat Quatta. 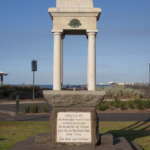 Monahan is a person of substantial historical and cultural significance in the City of Port Phillip and Victoria. He was a prominent hotelier and the London is probably the last of his hotels that are still standing, albeit in a modified form. That by itself is a good enough reason for it to be included in a heritage overlay under the planning scheme. This pub has nothing to do with architecture but everything to do with the history of the Old Port. Without going into much great detail this place has the history seeping out of it’s pours. If you walk inside ,you feel it. Lose it Now,Lose it Forever. My great great great grandfather, John James Gibson, settled in Sandridge (now Port Melbourne) in 1860. He married there and had his family there, and worked as a Ships carpenter on the wharf. As he had come from London, on his own, I have no doubt the hotel would have been a central point of community life for him, with a name that reminded him of the the city he had left and would never see again. With his carpentry skills, he may well have been involved in its building. The hotel and any ‘redevelopment’ needs to honour this history. 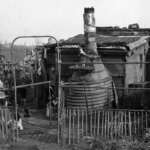 It has meaning to descendants now who still live in the area and are trying to sustain their broken links to their ancestry, having begun as migrants. The London Hotel should be the centre and heart of the area. Instead, it is almost impossible to believe there was no protection on it and it has been bought to make a killing on the corner lot.